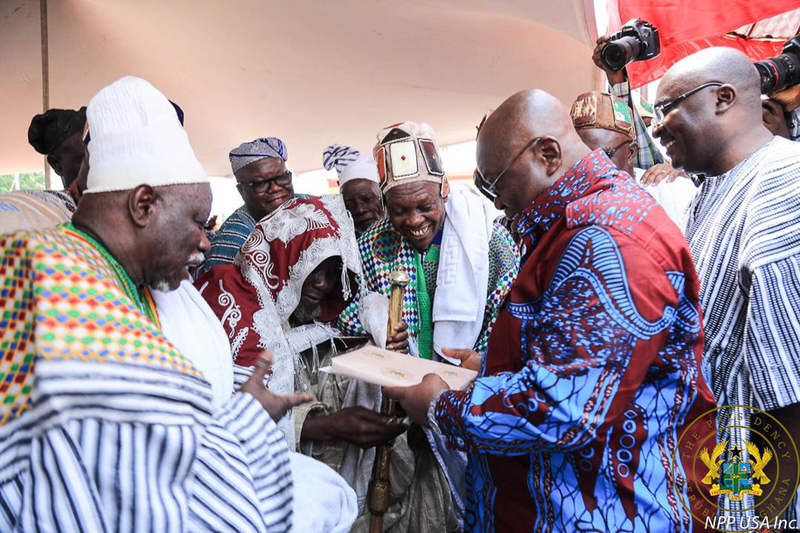 NORTH EAST REGION CREATED: NALERIGU IS CAPITAL – NPP USA Inc. 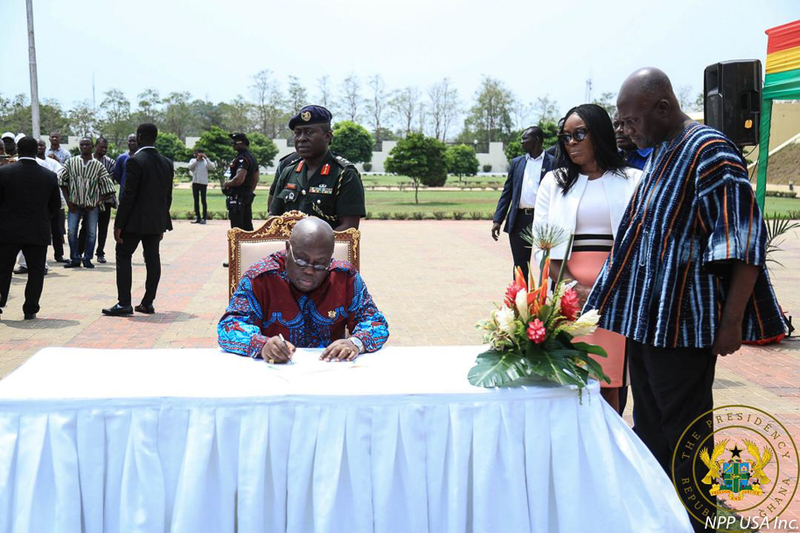 The President of the Republic, Nana Addo Dankwa Akufo-Addo, on Tuesday, 12th February, 2019, presented Constitutional Instrument No. 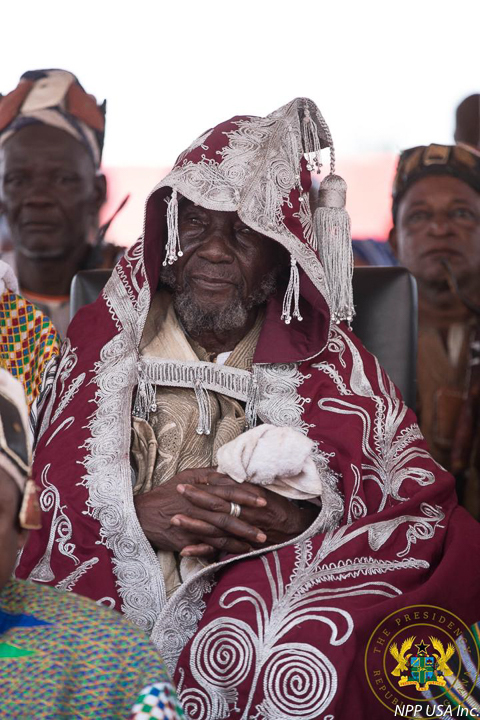 116 (C.I 116) to the Overlord of Mamprugu, Naa Bohagu Mahami Abdulai Sheriga, head of a delegation from the North East Region, signifying, officially, the creation of the region. 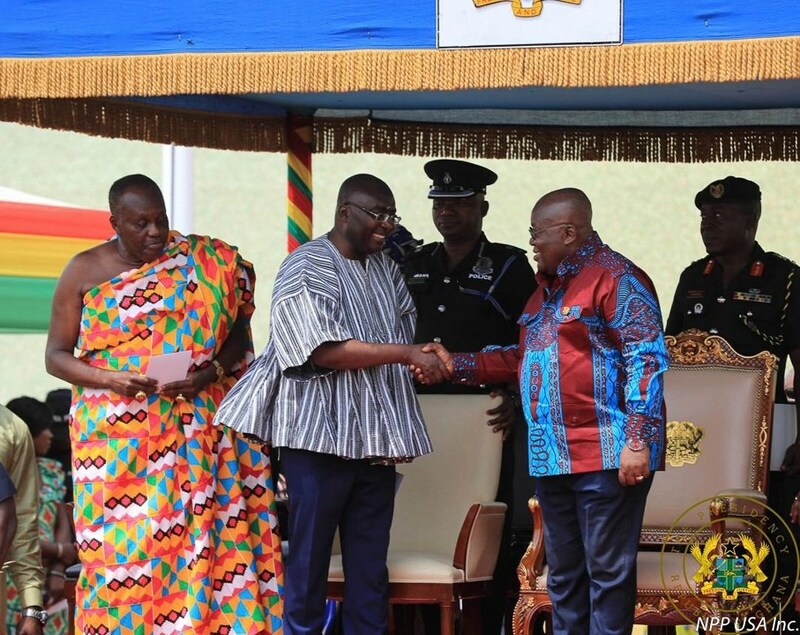 At a ceremony at Jubilee House, President Akufo-Addo stated that he has charged the Minister for the Northern Region, Hon. Salifu Saeed, to act as caretaker Minister for the North East Region, until a substantive Minister is appointed. “Secondly, Nalerigu has been chosen as the capital of the North East Region. 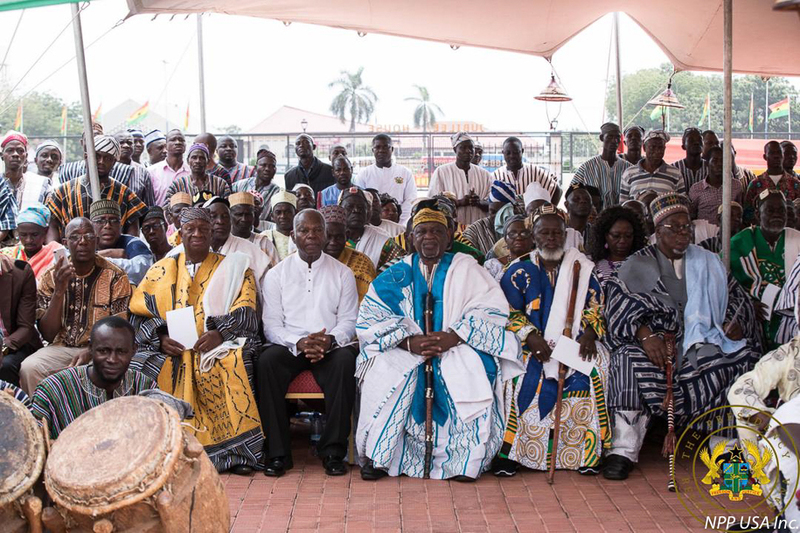 I want to assure residents of the Region, however, that Government projects and structures will be equitably spread across the Region,” the President added. Addressing the gathering from the newly created North East Region, he noted that, a few months after his assumption of office, he received a petition from the Chiefs and people of Mamprugu, led by the Overlord of Mamprugu, the Nayiri, Naa Bohogu Mahami Abdulai Sheriga, for the creation of a proposed North East Region. Pursuant to the dictates of the Constitution of the Republic, in article 5(2)(a), the referred this petition to the Council of State for its advice on 26th June, 2017, and, on 15th August, 2017, the Council advised that a Commission of Inquiry be established to determine whether or not there was a need and substantial demand for the creation of the North East Region. “I was pleasantly struck by the several occasions, in the course of those proceedings, when important personalities from different political persuasions saw common ground on the need to create new regions. It was clear that the process was demand-driven, and reflective of the will of the people, as the Constitution so intended,” the President said. 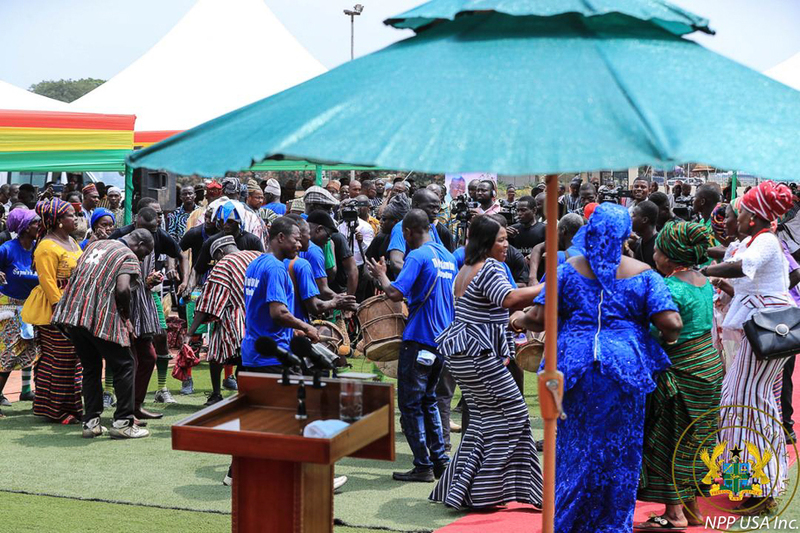 With 99.8% out of the 80.3% of the electorate who turned out to vote, in Yagaba, Walewale, Gambaga, Bunkpurugu and Chereponi, voting yes, President Akufo-Addo noted that North East Region recorded the highest ‘YES’ vote. “The North East is the bread basket of the Northern Region, and one of the biggest suppliers of food to the entire country, and it is only appropriate that we help facilitate its rapid development,” he added. 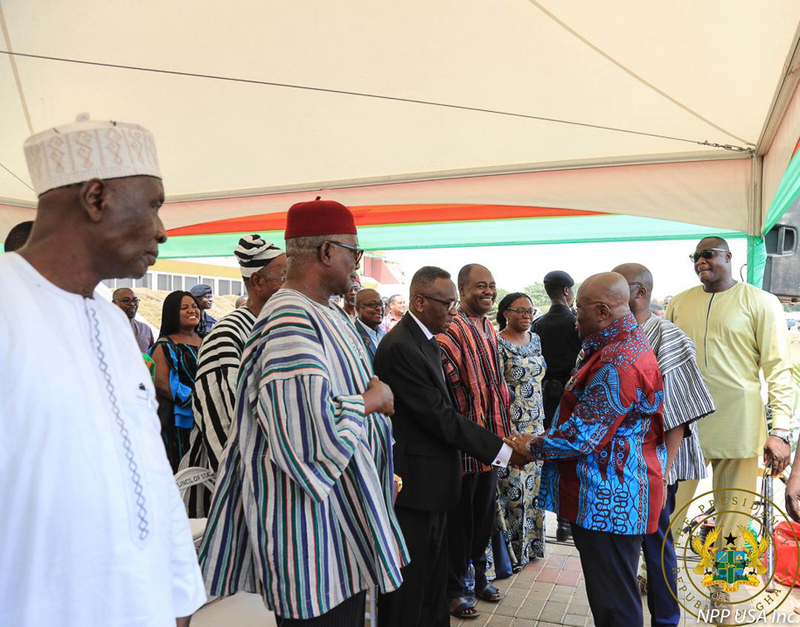 In order to maintain the momentum of the success of the popular demand for the creation of the six (6) new regions, President Akufo-Addo told the gathering that, within one week of the declaration of the results of the referendum, he constituted a Government Committee to plan and oversee the rapid development of the new regions. Its membership is composed of seven (7) persons, namely the dynamic and sagacious Minister for Regional Reorganisation and Development, Hon. Dan Botwe, MP, who is the Chairperson of the Committee; the Minister for Planning, Hon. Gyan Baffuor, MP; the Minister for Local Government and Rural Development, Hon. Alima Mahama, MP; the Minister for Special Development Initiatives, Hon. 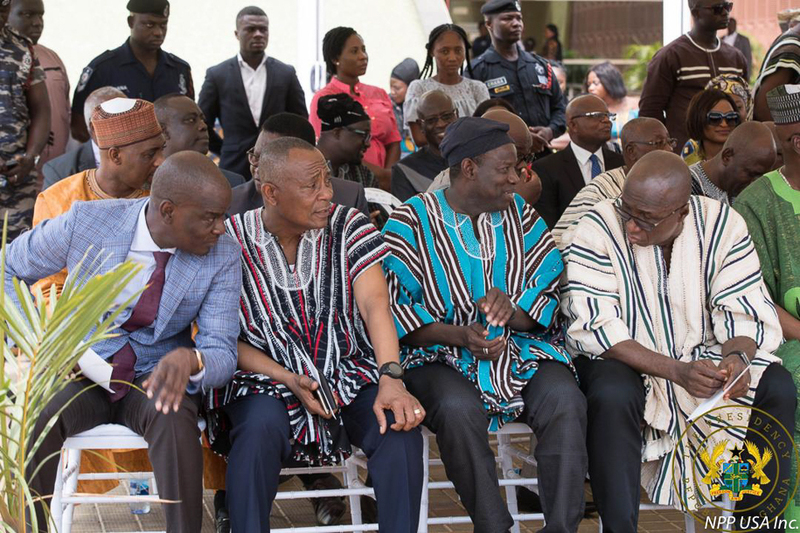 Mavis Hawa Koomson, MP; the Minister for Finance, Ken Ofori-Atta; the Minister for National Security, Albert Kan Dapaah; and a Presidential Advisor, Dr. Kwame Amoako Tuffuor. The Committee’s terms of reference are to plan the immediate, short, medium- and long-term development of the six (6) new regions; recommend to the President the choice of the regional capitals of the new regions; and oversee, with the consent of the President, the implementation of the plan set out in paragraph (a). 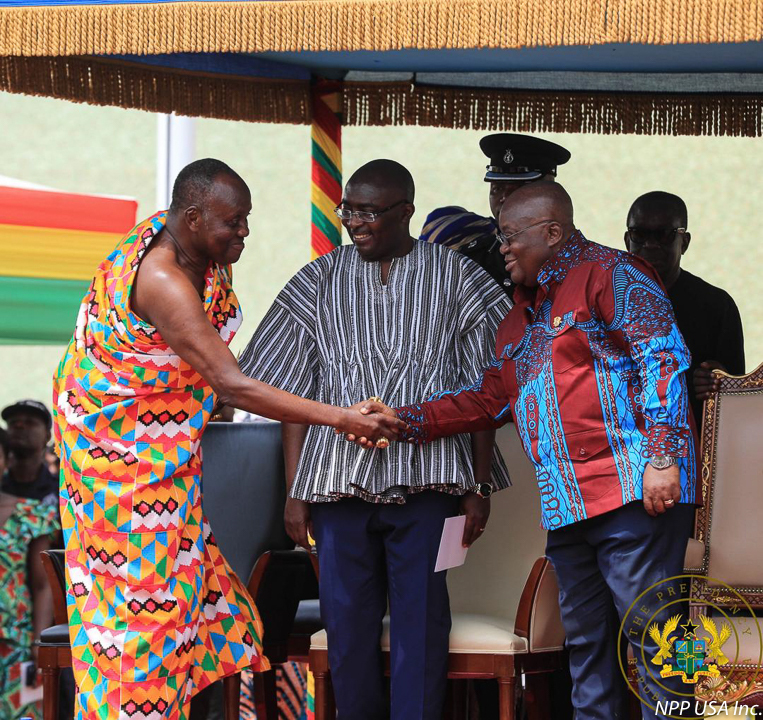 “Already, as contained in the President’s 2019 budget, a seed capital of GH¢20 million has been allocated for each region to aid in its smooth take-off. Government will make sure that the desire for growth and progress, which was the underlining reason for the vote for the creation of the North East Region, is met,” he added. 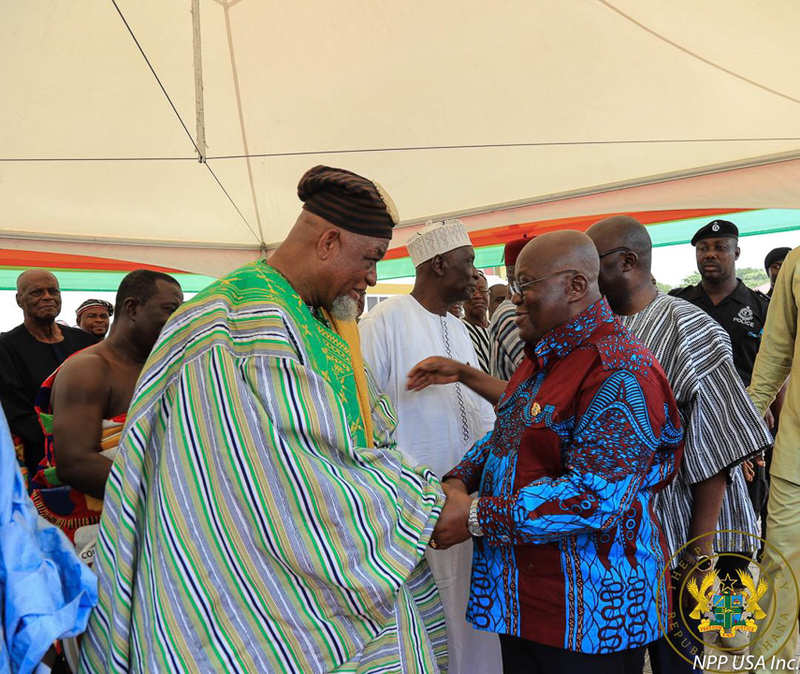 President Akufo-Addo urged the residents of the newly created region to “work hard together, and I am confident that, with dedication and commitment, the North East Region will develop and touch the lives of every resident, and help us build the great nation of Ghana we all desire. Let us be up and doing. Our destiny beckons”.